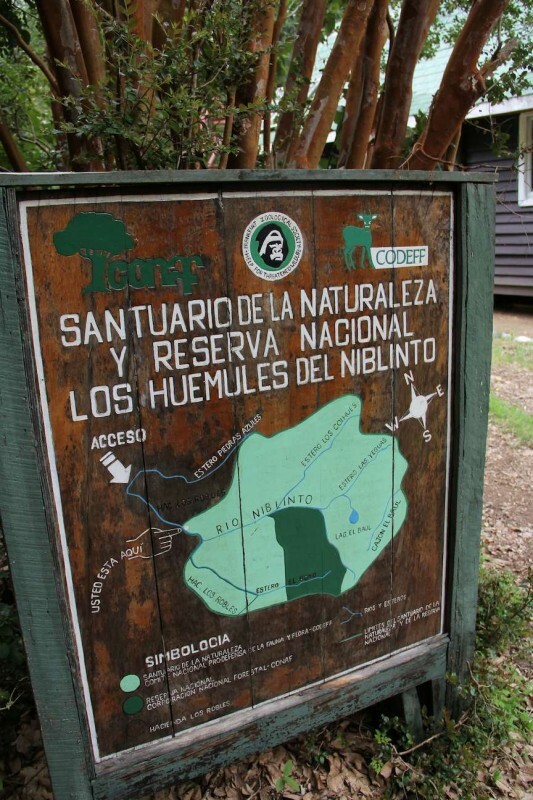 The put-in is at the Reserva Nacional de Los Huemules del Ñiblinto ranger station in the Comuna de Coihueco in the country´s 8th region. Huemules are en endangered elk-like animal and this park was formed in 1978 to protect one of their last remaining habitats. The 250 FPM (50 m/km) average gradient makes for an exciting, albeit short, 2 km run. Native forests, good camping and lack of human beings are added bonuses which more than offset the relatively difficult access. It can be difficult to get to the river because of the potential for not only locked gates but for a myriad of criss crossing logging roads. 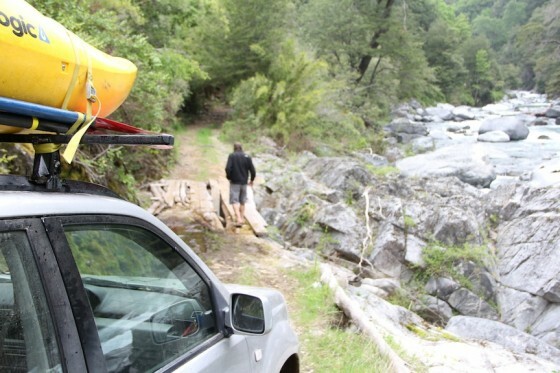 These directions are pretty accurate and can help guide you to the river but keep in mind the final descent to river might be impassable after rains and good clearance and 4 wheel drive are a must. 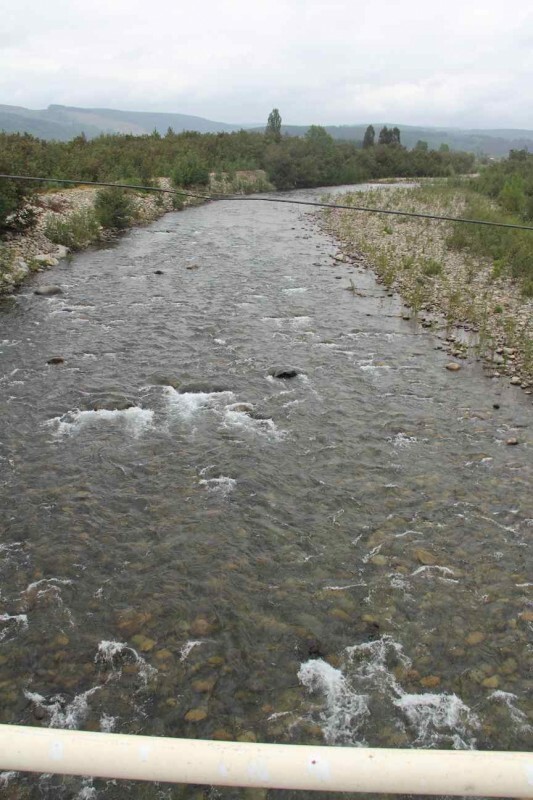 From Chillan take paved road 27 km east to Coihueco then continue North East out of town to town of Ñiblinto. Here you will cross a bridge over the river and can view the level. If the flow is what is shown below or more you should be okay. Turn right on the north side of the bridge towards Minas Del Prado and zero out the odometer. It is 12.1 KM to the former mining town now forestry town of Minas del Prado. Just before entering town veer onto the main gravel road that circles around the town and at 13.7 km you might encounter a locked gate forest. We did and were able to drive around the right side of the gate. At KM 14 you come to a T intersection and should go right. At KM 16.5 follow fork left towards Hijuela (not campamento). At 18.5 KM you encounter a sign indicating entrance to the corridor Biologico. At KM 23.8 the road enters a distinct eucalyptus forest (everything else is pine). Upon exiting this forest at KM 25.5 there is an obvious, very large Coigue tree on the right. Continue 50 meters and go right onto a dirt road that descends very sharply to the river at KM 30. At KM 30.2 there is an abandoned house then some very good camping spots which we used for takeout. Probably best to leave the car somewhere around the park gate at KM 30.9 and start hiking to the park entrance which is another 2 KM upstream. 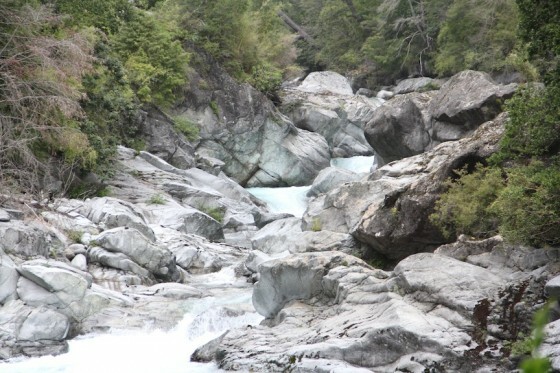 Put in at the upper end of the camping sites where a short trail leads one to the river at elevation 650 meters and takeout 2 km downstream at 550 meters. Note: The park does not normally open until November 1 which in a normal year will towards the end of runnable flow. On November 2, as we were hiking up, we met the park ranger Juan Sepulveda coming down on a motorcycle. In the months prior to November one might encounter additional locked gates. looks like a super cool little creek kurt!! !